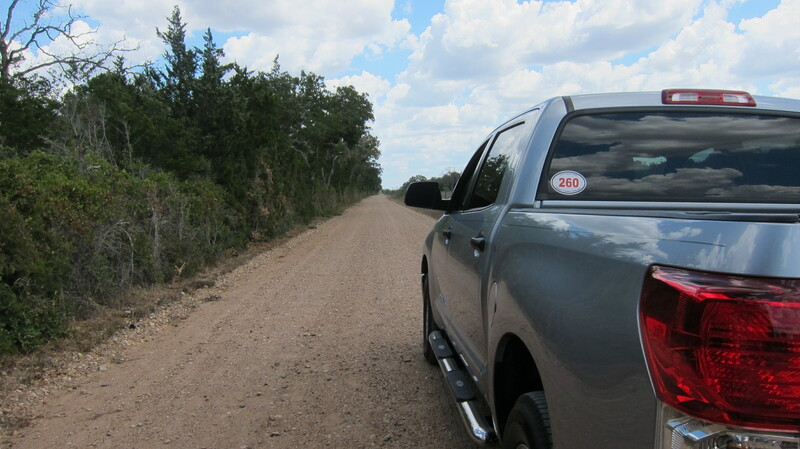 One of the best resources for planning a Texas road trip is a map with lots of detail. 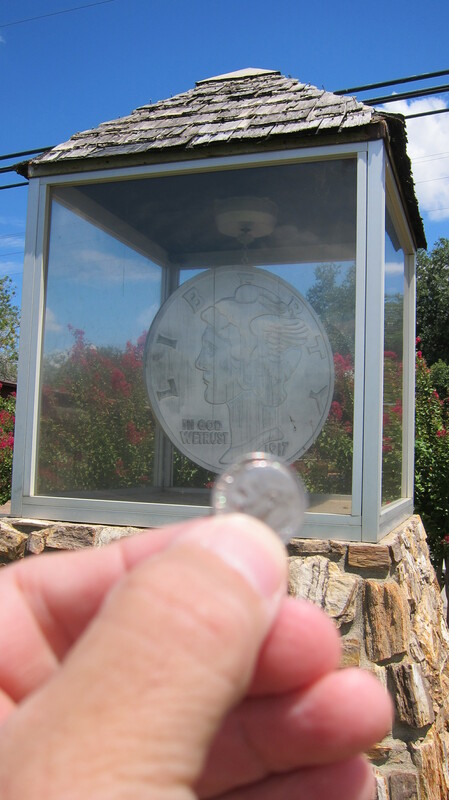 That’s how I discovered Dime Box, Texas — a small town located 12-miles northeast of Giddings. When I saw the name of this little town on my map, I knew that I had to go there by way of the most meandering route available. 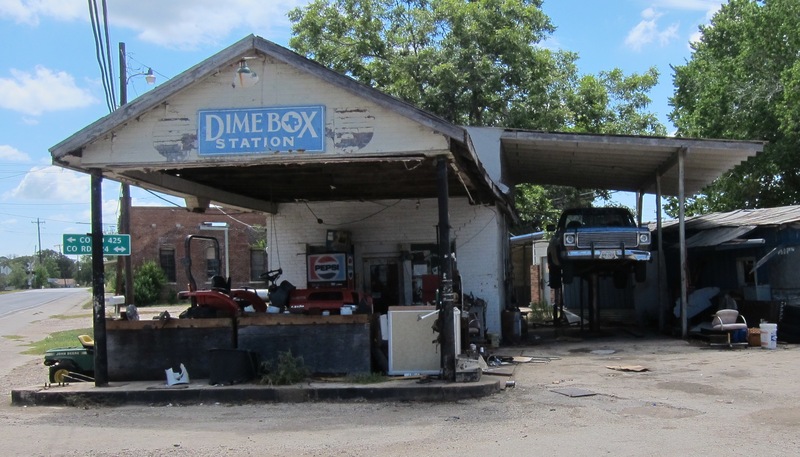 Dime Box was founded sometime between 1869 and 1877 by a man named Joseph S. Brown who built a sawmill about three miles northwest of the present community. Within a short period, other settlers came to the area and the community became known as Brown’s Mill. Brown’s Mill had no post office in its early days, so settlers placed their outgoing mail and a dime in a box in Brown’s office for weekly delivery to Giddings. However, when the postal service officially opened a post office in Brown’s Mill in 1884, they asked that the community be renamed to avoid confusion between Brown’s Mill and Brownsville. So, the community was renamed Dime Box. In 1913, when the Southern Pacific Railroad built a line three miles from Dime Box, the folks there moved closer to the railroad. 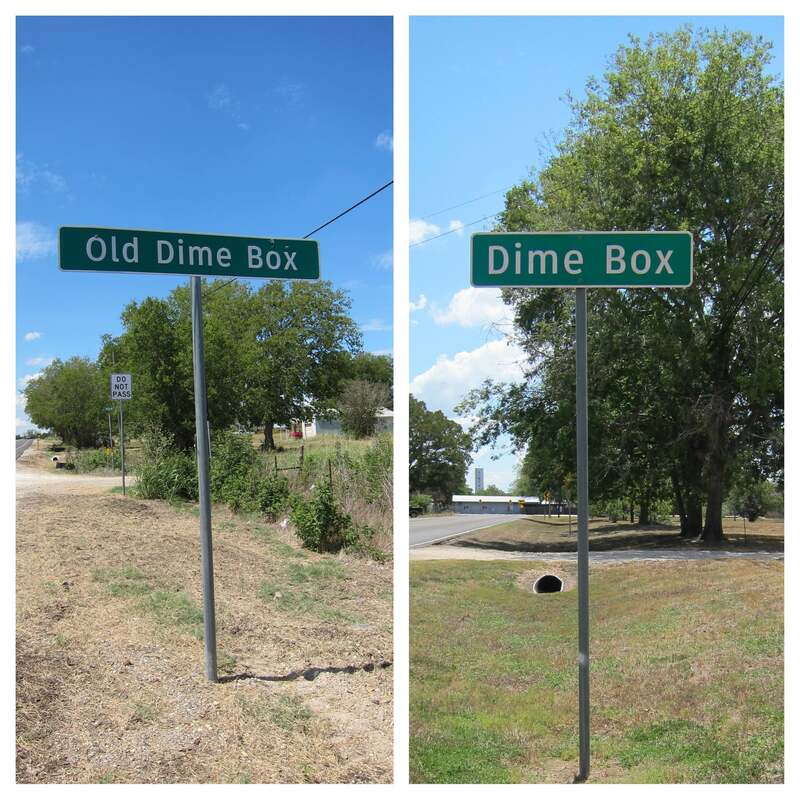 The original settlement became known as Old Dime Box and the new town became known as Dime Box. The railroad brought in new settlers and, at its peak, the population of Dime Box grew to five-hundred. The population has since declined to a little more than three-hundred people. Dime Box had its fifteen-minutes of fame in the 1940’s when a CBS broadcast kicked off the national March of Dimes drive from Dime Box. Today, Dime Box is a quiet little community. I enjoyed driving around the few streets and had a pleasant chat with a local who was out for a walk. Dime Box is certainly not on any destination list you will ever find in the glossy pages of Condé Nast Traveler. 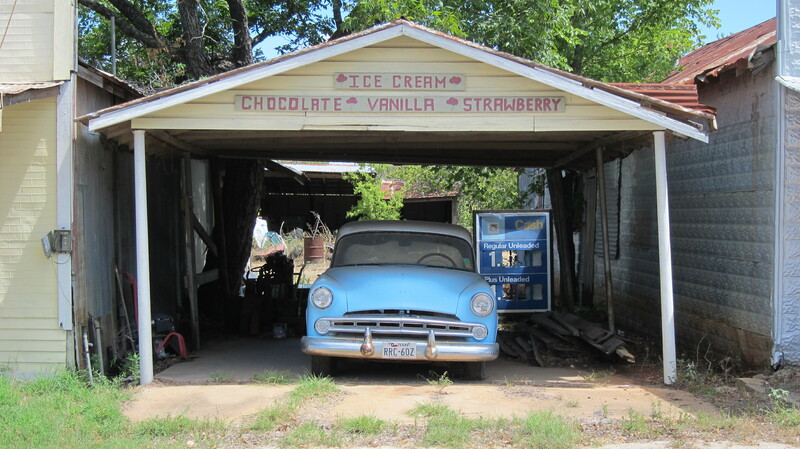 But for any backroads adventurer, it is a place worth visiting, if for no other reason than its interesting name and history. The next time you look at a Texas map, pay particular attention to those small out-of-the-way places with interesting names. And the next time you go from here to wherever, take a detour to see those places for yourself. This entry was posted in Road Trips, Small Towns and tagged Dime Box, March of Dimes, Small Towns. Bookmark the permalink. I was hoping for a picture of what I remember as the main street. Not sure if it was Dime Box or Old Dime Box. I was there in 1965. Was stationed at Bergstrom AFB (then a SAC base) and was on a sad detail to bury a pilot killed in Vietnam. I was a pall bearer in a military funeral. The bus we were taking from Bergstrom to College Station had a tire failure, and we detoured into Dime Box for repairs. Both small restaurants enjoyed an economic boom as they were descended on by dozens of hungry airmen. I remember boardwalk sidewalks, and the Dime Bos National Bank which was a small old western looking building with a large window, and inside that window was an old cash register. Fascinating side trip to a sad day. Thanks for sharing this memory, John. Love these small Texas towns with interesting names. To have stories related to those places makes them even more special. Thanks again for sharing this story.